MOST WIDELY USED TRAUMA KITS IN LAW ENFORCEMENT TODAY ! 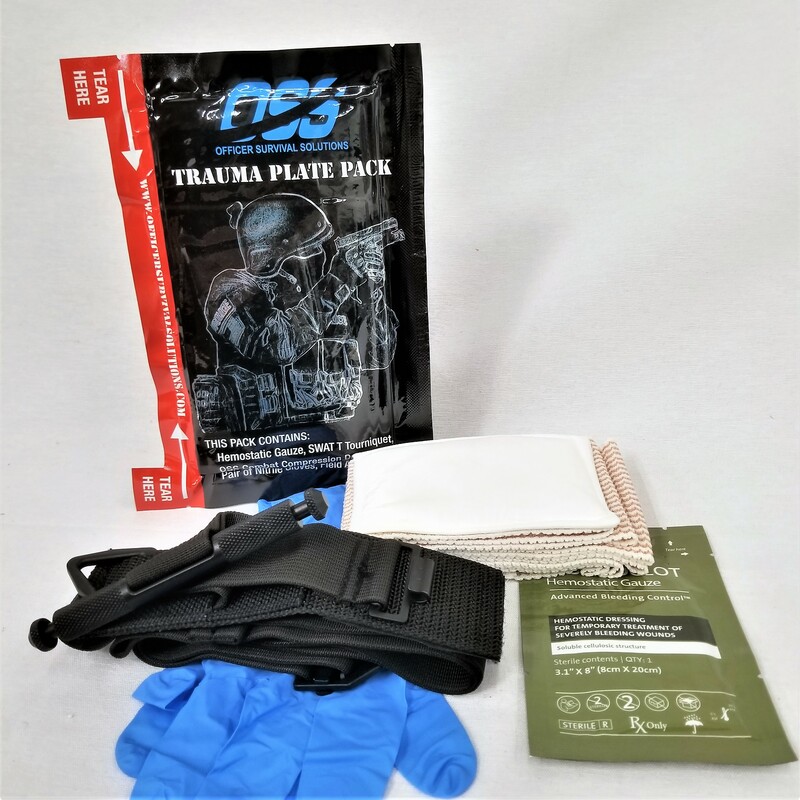 Developed in 2009 by our Tactical Medic Police Officers and Special Operations Combat Medics, this is the our Generation II Trauma Plate Pack design but now incorporates the SOF T Tourniquet. The overall design has been improved to create much less of a footprint in your pocket and still remain the thinnest in the industry. The pack is created to fit in almost any pocket in and under the uniform including your body armor thus keeping the kit "on the officer" where it will be immediately accessible and not locked away in the patrol car. This advanced design is made of a material that is proven to withstand minor slices or punctures and rugged enough to be skipped, thrown or kicked across a pavement surface to a wounded officer if he/she is inside a hot zone and rescue is not readily available.. The overall thickness of this pack is less than 1/2 inch. It is very thin and plyable making it effortless to access and comfortable to wear. The shelf life of the pack is listed at 4 years but is expected to last well beyond depending on the environment in which you operate. It has the same critical items as all our Original Patrol Pocket Pack Series Kits but now contains the SOT T Tactical Tourniquet. 1- SOF T Tournicat, 1-Hemostatic Gauze Pack, 1- OSS Combat Compression Dressing, 1- 3inch Compressed Gauze, 1- Pair of Nitrile Gloves, 1- Tourniquet Field Application Card, all contained in our uniquely designed and patented "skip pack".